Go ahead and start getting your shopping list together for the deals starting Sunday 11/4 in the new Target Ad. 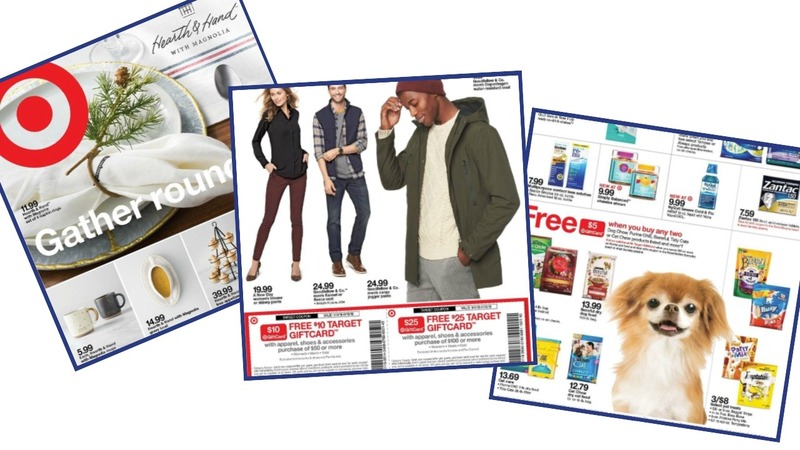 There are two in-ad coupons to help you save on clothes and accessories, plus we have double stacking gift card offers on Purina pet care items! Check your Sunday inserts for a store coupon that you can use with a store sale!! Make sure to check back for unadvertised deals on Monday. Market Pantry Frozen Vegetables, 12-16 oz, 80¢ ea.